Maiden grapes (Latin Parthenocissus). In the stage of 3 separate plants, and three adjusted blocks of materials on various seasonal color combinations of leaves. Just apply one of them and receive a plant in the summer, in the fall or late fall. 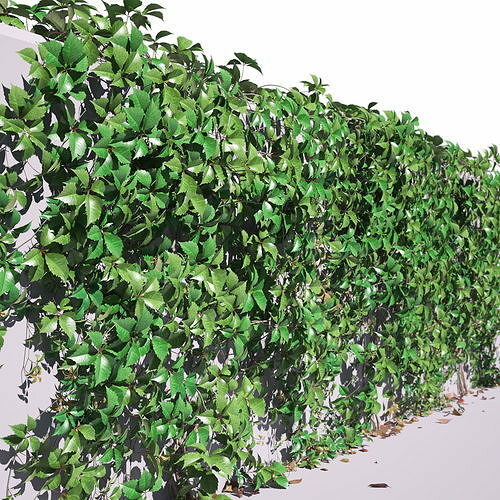 Height of a wall on which grapes curl 2.7 m. Two libraries of materials for Vray and Corona are enclosed.